This is the second recipe in my “Squash is so hot right now” repertoire and all I have to say is, “Hot damn! This squash is GOOD!” I was hooked on this squash like my pre-primal addiction to Diet Dr. Pepper. 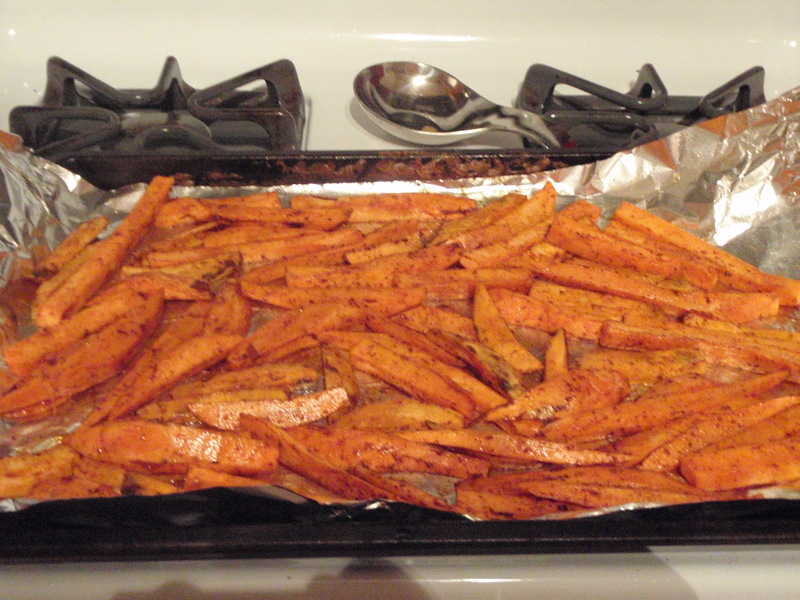 The inclusion of balsamic vinegar makes the squash taste like candy…..mmmmm, sweet, sweet candy. I picked up a gi-normous butternut squash at the farmer’s market and it lasted me the entire week as a side dish for breakfast and dinner….for $3. Prep the squash. OK, you are going to need to mentally prepare for this as it is a serious arm workout. Peel the squash (I recon this is equivalent to doing 100 kb swings), cut in half (also a feat of strength) and then cut into 1-2 inch cubes. Spread the squash out over a baking sheet. In a small bowl, combine all the other ingredients. Pour over the squash and mix around to spread evenly. Bake for about an hour. My oven is not very fast, so yours may be completed sooner. Check it every 20 minutes and toss it around to cook evenly. It should be tender and easily forked when finished. 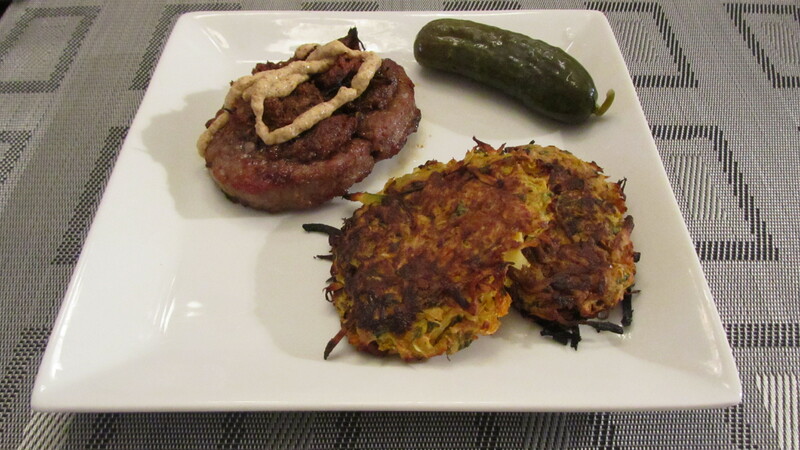 This is the second recipe in my Paleo Superbowl Recipe week. 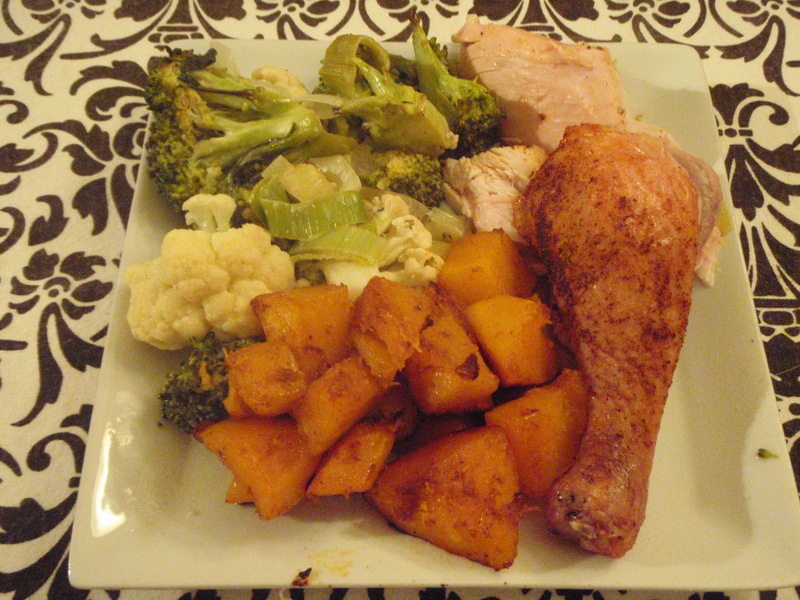 The Paleo Diet does not allow sweet potatoes as part of your permissable foods….but The Paleo Diet for Athletes does. Nice! We’ll stick with that book for this post. 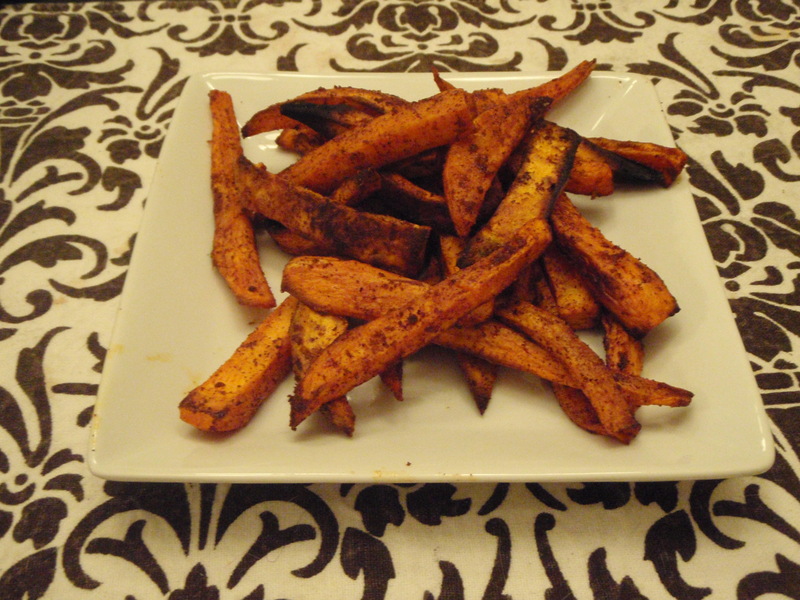 Sweet potatoes are have a high GI, so you do need to watch the quantity if your goal is weight loss. I will often make this recipe as a side dish to my weekly Filet Mignon and I love it. The mixture of sweet and spicy crisps them up and adds so much flavour – you will not miss the fried version. Roast in the oven for 20 minutes (if you didn’t microwave them, this will take about 40 minutes). Flip them around to see if they are getting crisp. Allow them to bake for another 5-10 minutes if they have not begun to crisp up. Turn the oven to Broil and let them broil (on the bottom rack away from the broiler) for about 5 minutes to get them to finish crisping. 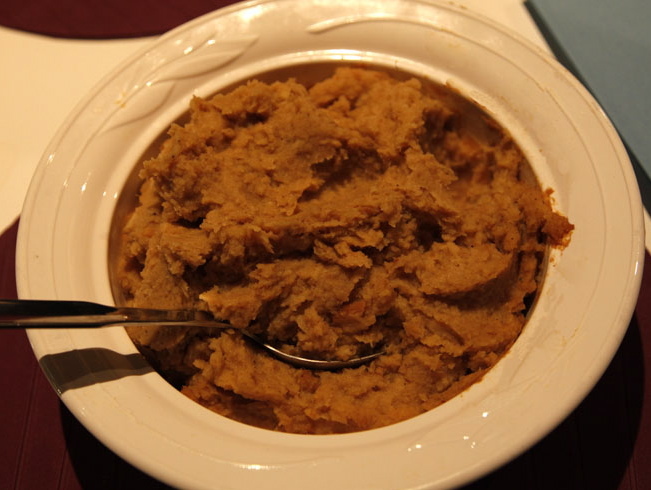 Puree’d Parnips are a fabulous substitute for mashed potatoes and have a slightly sweeter taste. The key to making them taste delicious is to roast them first, not boil. I’ve done it both ways and when I roasted them before puree’ing, they tasted so much better because the roasting caramelizes them. mmmmm….caramelize. – 6 big parsnips – i made the mistake of thinking that 1/2 a parsnip would suffice for each person and I was wrong. I recommend going with 1 per person and risk having some leftovers. If you’re using small ones, then double up. Cut into small pieces (about 1/2 inch cubes). Lay them out on a baking sheet. Drizzle olive oil and sprinkle salt over top. Mix around to distribute. Put parsnips into your food processor and add 1 cup of beef broth and nutmeg. Run it through the food processor until it has a mashed consistency. Add the remaining 1/2 cup of beef broth and run it again. Taste and make sure it has a mashed potato consistency. You can add more beef broth if they are not moist enough for your liking. If you don’t have a food processor, I’m sure you could use a hand masher. Semi-Primal Husband doesn’t normally like Rapini because he finds the taste to be bitter. But he loves this rendition, providing the following testimonial, “I like this Rapini. The lemon cuts out the bitter taste.” Success! 1. Fill a medium-large size pot 1/3 with water and bring it to a rolling boil. 2. Put the rapini in the boiling water and cook for about 2-3 minutes. It cooks quickly and you want it ‘al-dente’. 4. 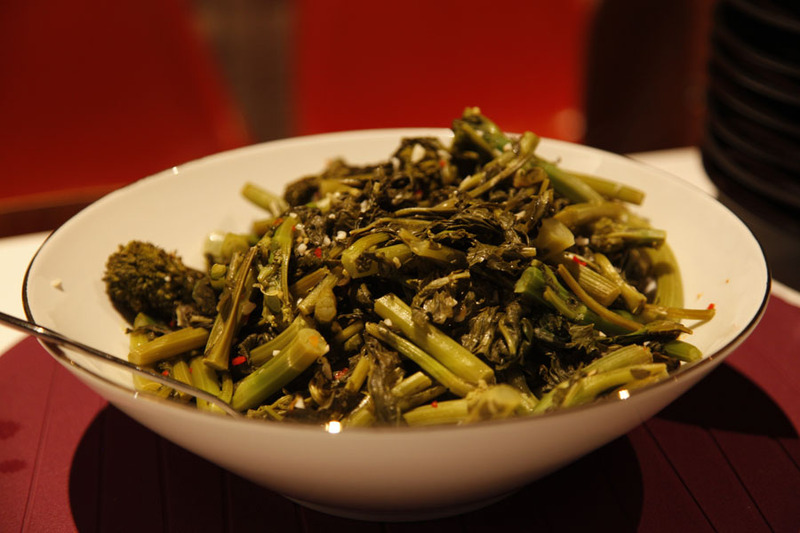 Once rapini is cooked, drain from the water and put in the pan. Saute for about 2 minutes. 5. Add the lemon juice and lemon zest. Saute for another minute.